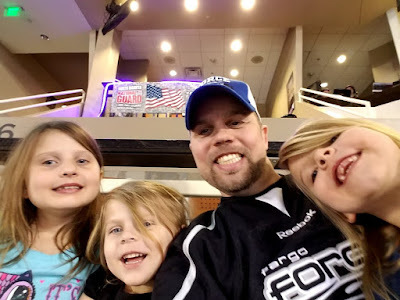 I haven't been to NEARLY enough Fargo Force games this season as I have in the past, mostly because the weekends I am on the schedule to work are also the weekends they happen to be playing their home games. I was finally able to attend one a couple weeks ago, and brought my three girls along for a fun evening of hockey action. There was something for everyone. I got to watch a great game, and since it was "Character Night," and the special guest was Moana, there was something for my girls, too. 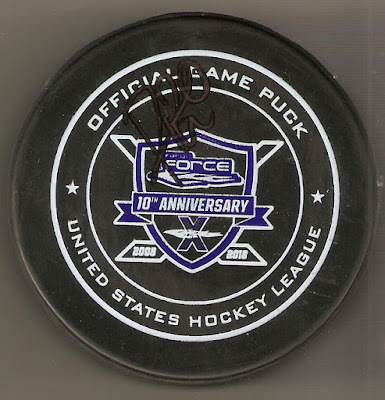 The game was a great one, as the Force won 3-1. After each home game, they have one featured player signing autographs for the fans, and I'm always sure to stay for that. 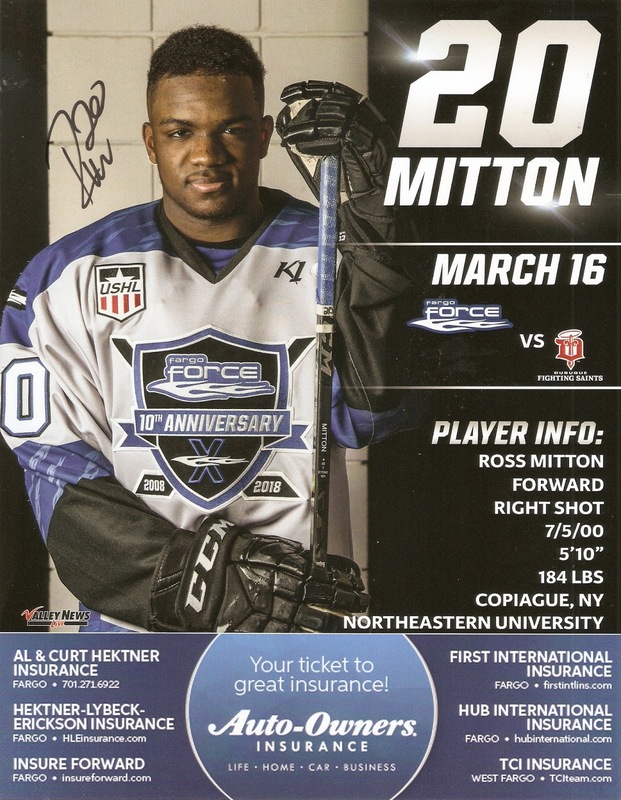 This game featured forward Ross Mitton, who has scored two goals and six assists in 26 games this season. I had him sign a line-up card and puck. 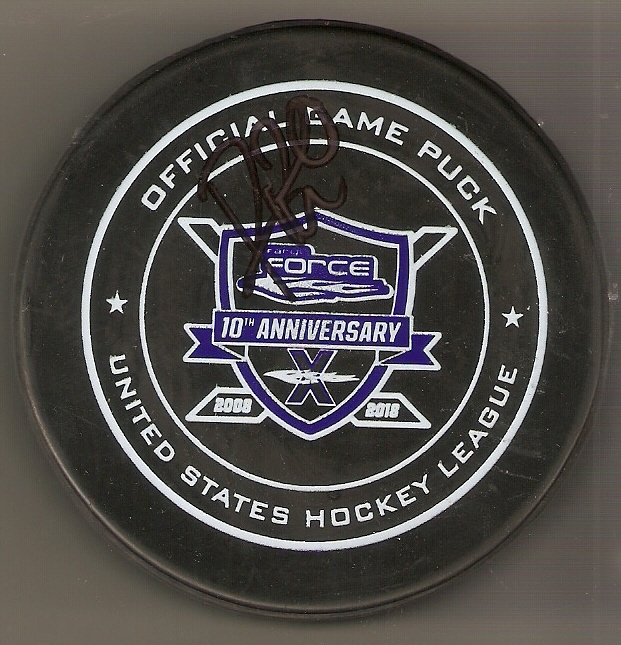 The lime-up card came out great, but unfortunately, they didn't provide him with a silver marker, so he had to use a black Sharpie on the puck. Lesson learned for next time.